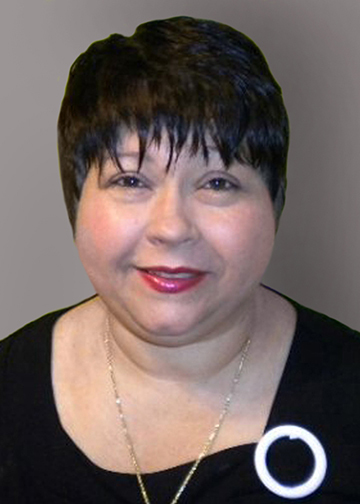 Rebecca Lynn Noack, 53, of Votaw, died Monday, January 21, 2019, Memorial Hermann Medical Center, Houston. She was born on August 3, 1965, in Kountze, to Minnie Ray Chambless and Elmo Hazelwood. Survivors include her husband, Dwight Noack; son, Eric Noack and his wife, Tiffany; daughter, Carly Noack; grandchildren, Natalie Noack, Carson Noack, Asher Noack; parents, Minnie and Elmo Hazelwood, all of Votaw; and siblings, Ernie Hazelwood and his wife, Lisa, of Saratoga; Barbara “Punkin” Carr and her husband, Ivan, of Florida; nieces, Erika Springer, Tiffani Hazelwood, JoLynn Hazelwood, Graci Hazelwood, and Desiree Carr; and nephew, Bryce Hazelwood. A gathering of Mrs. Noack’s family and friends will be from 5:00 p.m. until 8:00 p.m., Thursday, January 24, 2019, at Saratoga Assembly of God Church, 6389 1st Street, Saratoga. Her funeral service will be 2:00 p.m., Friday, January 25, 2019, at Saratoga Assembly of God Church, with her interment to follow at Votaw City Cemetery, Votaw, under the direction of Broussard’s 530 West Monroe, Kountze. I am so sorry for your loss, I pray God see's you thru this troubled time and for days to come. It was an honor to have known Becky she was truly an amazing woman. R.I.P. My Friend.. I just can't believe you are no longer here on earth, and it just breaks my heart. I know you are in a better place now. No more pain, no more tears, but I guess I'm a little selfish because I liked you being here. I miss you so much words can't even explain. I'm going to miss texting you about life and getting your advice. I'm going to miss asking you for recipes so I can cook stuff we ate when I was there for my family. I remember all the times growing up sleeping over at your house watching movies, all the holidays gathered around your table, and the weekly trips to "town". "These memories are a keepsake from which I'll never part. God has you in his arms now, but I'll keep you in my heart." I love you Aunt Becky and until we meet again I will cherish every memory. Dwight, I am so sorry to hear about this. Please accept my deepest sympathy. Also, please accept God's peace and comfort during the days, weeks, months, to come. You and your family are in my prayers.